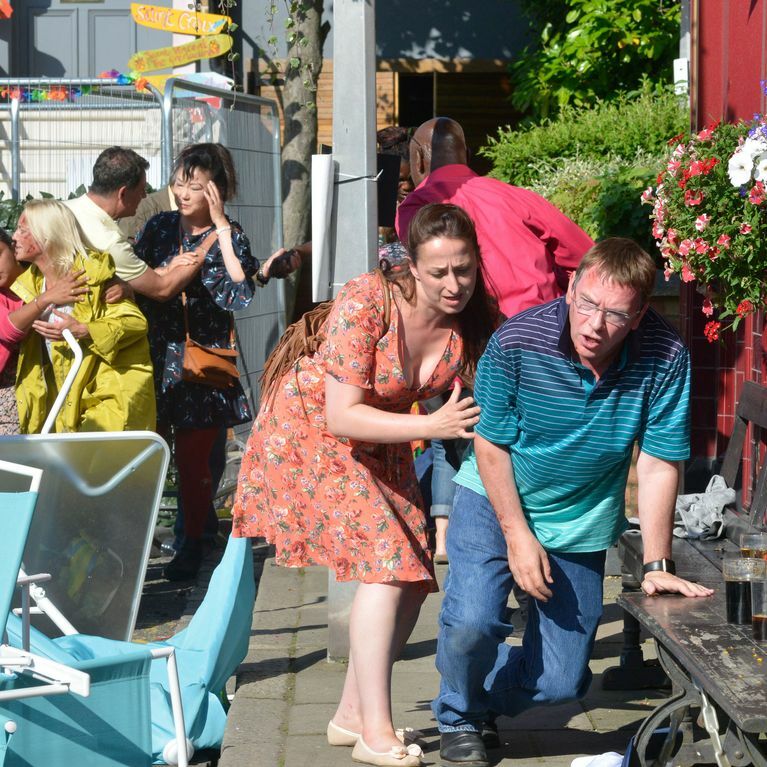 Eastenders Episode Guide - Tuesday 5th September. 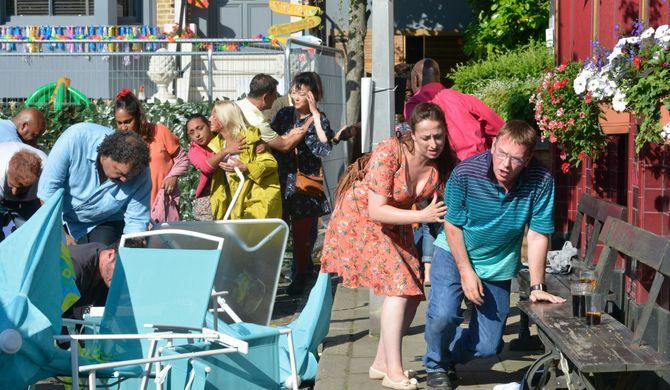 Across the Square, Ted struggles to cope with the aftermath of the explosion as it brings back terrible memories and as Joyce does her best to calm him down, Ted takes out his gun as protection only to end up pulling the trigger when another resident arrives to check on them – but who has been shot? Jack talks to Linda about her situation and she finally admits what she has been hiding from Mick.Oblivious that Stacey is missing following the chaos from the explosion, Bex helps an injured Mr Pryce.